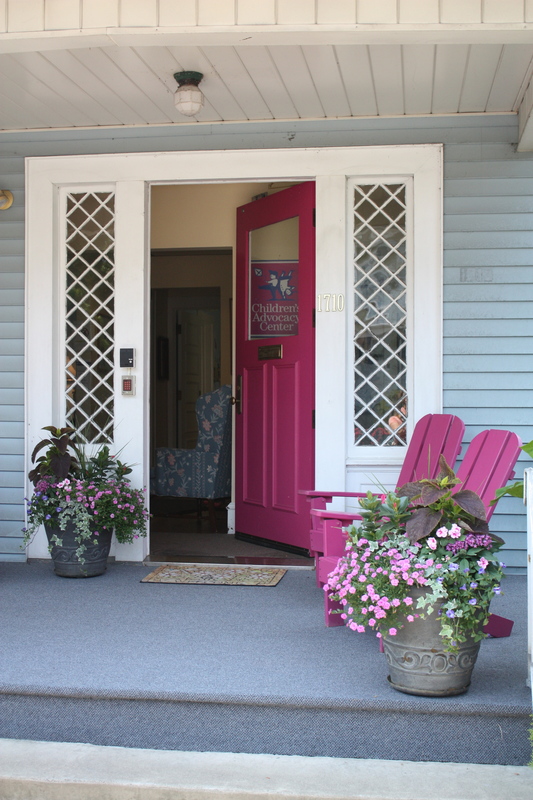 Our recognizable blue house with the bright pink door at the top of Mulberry Street is open 24 hours a day, 7 days a week. The Children’s Advocacy Center of Northeastern Pennsylvania is the first stop for children before entering the justice system. Here, in the safety of a comfortable environment, full of childhood comforts, they can speak of the unimaginable. Often experiencing shame and guilt, these children undeniably need the time, love and special treatment they receive at CAC to repair their broken childhood…and keep it from having a lasting affect on their adulthood. In November 2013, the CAC-NEPA opened the Teen Advocacy Center, a children’s advocacy center with a Teen-Focused Setting. Our Teen Advocacy Center is the first of its kind in the nation, offering teenage victims a cozy reception area as well as a library filled with a wonderful selection of books that are fitting for teenagers. The TAC is located at 316 Wheeler Avenue, just around the corner from our Children’s House. When it comes to making a difference in improving children’s lives, there is a place for everyone to contribute. Child abuse and neglect is a community problem. Child care and protection is a community responsibility.